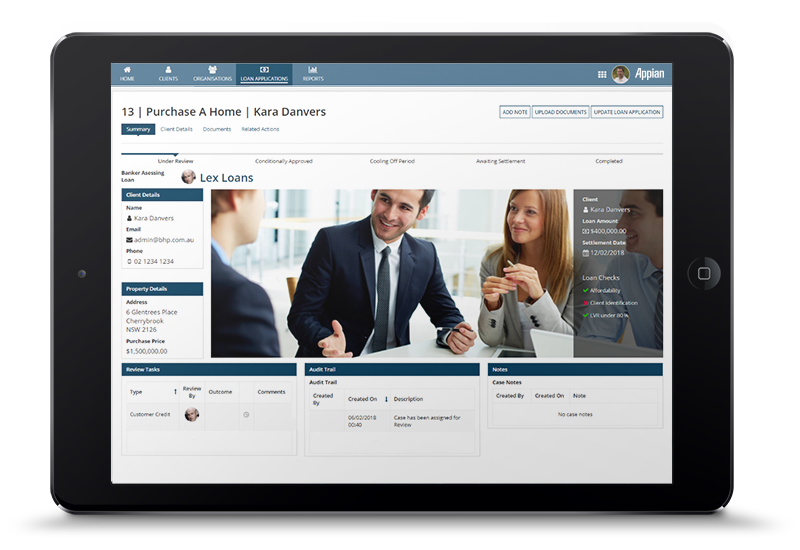 Drive efficiency in loan origination software, syndication, and specialized lending programs. 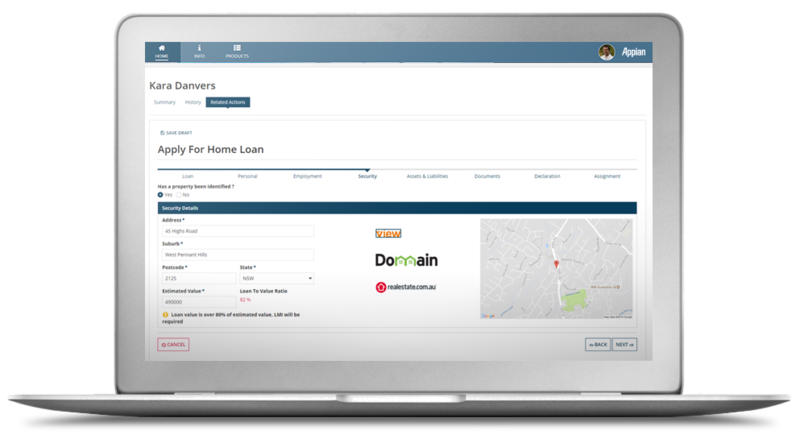 Streamline your lending processes, from pre-qualifying through closing, to deliver increased loan volumes. Appian enables you to accelerate loan approvals and improve loan efficiency across delivery channels. Simplify the entire origination process, from application to funding. Reduce complexity and enable faster funding to speed loan origination with an integrated experience for customers and servicing agents through shared service centers. Increase productivity and support new business models. 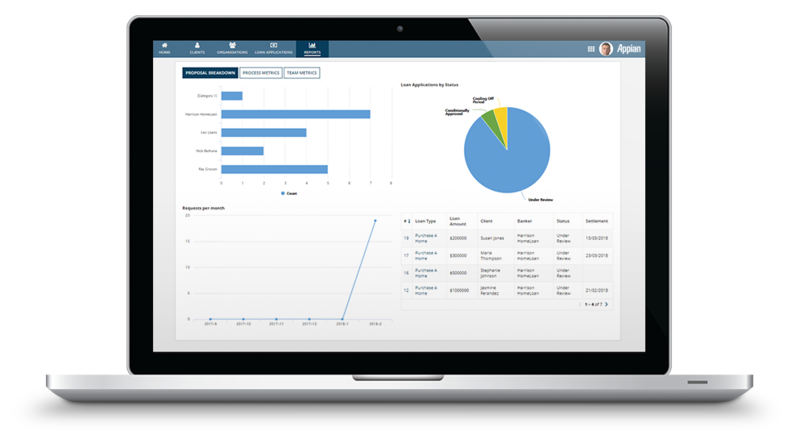 Automate your loan management procedures for efficiency across multiple lines of business, products, and customers with our loan origination software. See how Bendigo and Adelaide Bank transformed their customer experience.